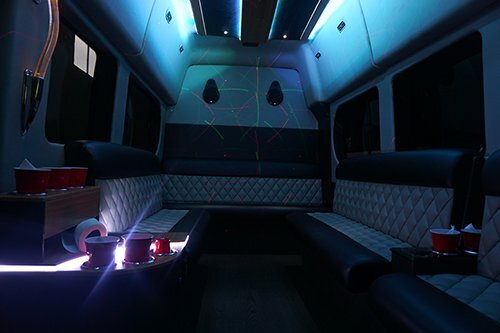 Our Party Van option has the elegance that you're looking for. 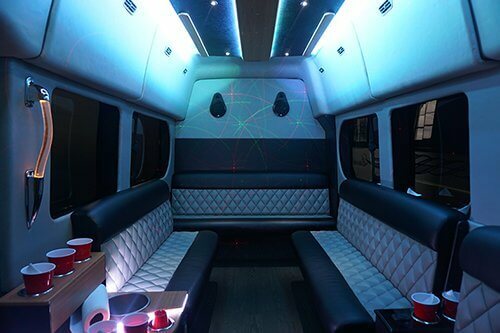 The counter tops provide easy access to your drinks and the ambient lighting fixtures set the mood for the fun you'll have all night long. 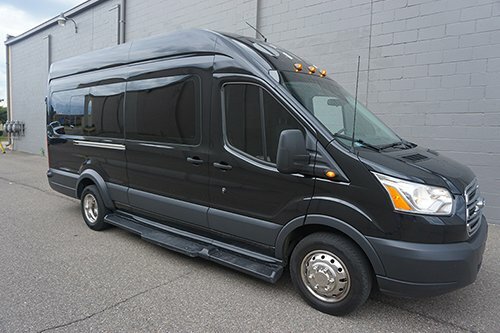 We're able to take you anywhere, whether it's to the Little Caesars Arena for a Red Wings game or to check out one of the new restaurants on Woodward. Grab some of your closest friends and get ready to party.